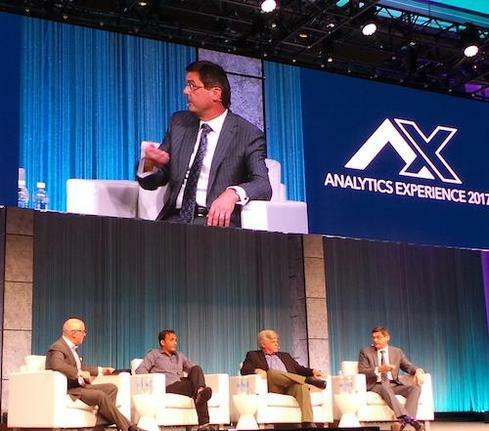 Three industry leaders took the stage at SAS Analytics Experience and provided broad perspectives on how far we've come in analytics over the last 10 years and where we are today. A decade ago the iPhone was a new device and there wasn't an app for much of anything. Competing on analytics was a new concept. And we were considerably less worried about artificial intelligence taking our jobs and taking over our world. Boy, things have changed in the last 10 years. Those changes were the major theme of the speed keynote talks on the mainstage at the SAS Analytics Experience conference in Washington, DC, yesterday, featuring former US Chief Data Scientist DJ Patil; SAS CTO Oliver Schabenberger; and author, professor and consultant Tom Davenport. "We live in a remarkable time," said Patil, leading off the lineup of speakers. For instance, he said, we expect instant and customized news, real-time traffic information and mapping, car service on demand, one-day shipping, and many other instant conveniences. Patil said that the US created the office of the US Chief Data Scientist with a particular mission in mind -- to responsibly unleash the power of data to benefit all Americans. "Two words that were carefully chosen were 'responsibly' and 'all' Americans," Patil said. "We should think of technology as neither radical nor revolutionary unless it benefits every single person." Patil listed several efforts underway to unleash the power of data in the nation. One effort in Miami Dade County, Florida was designed to improve data sharing among agencies to enable better crisis intervention by police officers.